Interesująca ekipa słoweńska z Mariboru, działająca krótko na polu ekksperymentalno-industrialnym w latach 1983-84. 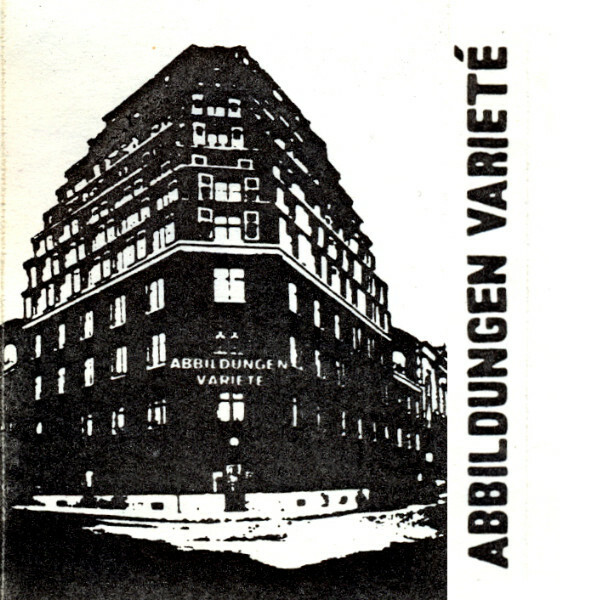 Abbildungen Varieté was an experimental multimedia collective from Maribor, Slovenia, active between 1983 and 1984. They are the second most important name in the Yugoslav old school industrial scene of the 1980s, besides Laibach. Unfortunately, little is known about this project. The eponymous cassette release, which is a live recording, came out in 1983 in a limited edition of 230 copies through Ljubljana's Galerija ŠKUC Izdaja label / organisation. They also contributed to the "Novi Rock" compilation with the track "Ishodišče Subjekta". Abbildungen Varieté was close to the NSK (Neue Slowenische Kunst) movement and Igor Zupe, nowadays a famous Slovenian video artist and director, was a member. Other members included Marko Ornik, Goran Majcen, Branko Mirt, Darko Senekovič alias Leonard Rubins. Following the path of Last Few Days and Laibach, their music was highly ritualistic, dark yet innovative. Soundwise it's quite diverse: a bit of sinister tribal drumming with frantic clamor, a bit of solemn ceremonial chanting and a bit of ominous funeral dirges for the banishing of the dead. They can be compared to Ain Soph, early Autopsia and Het Zweet.